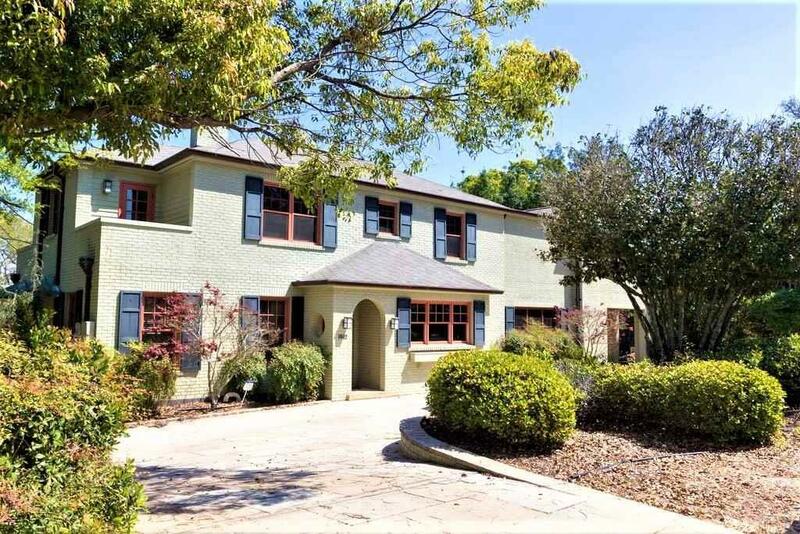 This historic East Hill home is less than a block from beautiful Bayview Park and is on Bayou Texar providing amazing views of the water from almost every room. This home features a three tiered backyard perfect for entertaining or just enjoying the natural beauty. The middle tier features an elongated pool that is perfect for lap swimming while overlooking Bayou Texar. The middle tier also has a sunken Jacuzzi and a bath house with a steam shower. The lower tier is slightly sloping and well manicured ending at the shoreline and a covered dock with two boat lifts. Moving inside, you will find a spacious downstairs living area that includes a great room, formal dining room, kitchen, walk in pantry, half bath, and sitting room, all with plenty of windows providing natural lighting. Downstairs is a finished basement with a full bath and its own entryway. Upstairs are the three bedrooms and three full baths. Two bedrooms share a Jack and Jill study area and both have their own patios. The spacious master suite includes a walk in closet and an open closet area, double vanity, a raised bedroom and a step down reading area that opens up to a veranda and walkway that spans the back of the house and overlooks the backyard, pool, and Bayou Texar. Below the detached garage is another bonus room that is perfect for a home office. The historic East Hill neighborhood is Pensacola?s preferred neighborhood. Don?t miss this opportunity to wake up every morning to the beautiful views of Bayou Texar and other timeless features of this house.